Having a nautical baby shower? 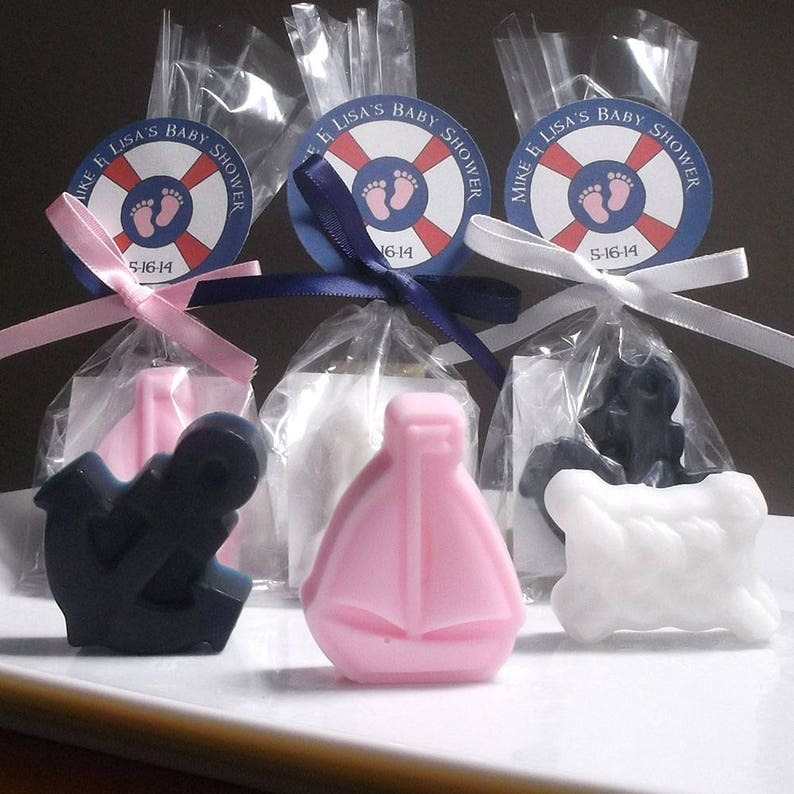 Our nautical baby shower favors feature an assortment of various shaped nautical themed soaps, including a sailboat, a rope, and an anchor. Nautical baby shower favors will add to your nautical decor, are unique, and are sure to be a hit at your nautical baby shower. Perfect for a girl baby shower or boy baby shower. Includes favor tags. Baby Powder - This soft powdery scent smells just like baby powder. Cotton Candy - Just like at the fair. Unscented - No fragrance added.